Here is another background for the video. I still need to add a couple details. I want to put in a rifle, curtains and a side table. 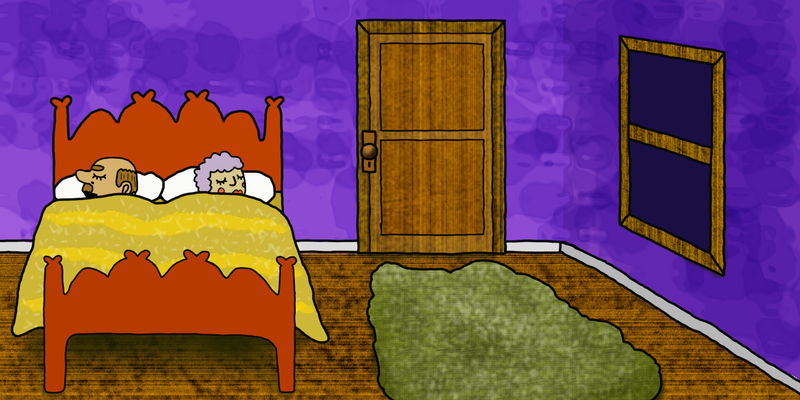 I also need to be able to make the woman jump out of bed, so the blanket needs to fold over. I also think at some point during this verse Kip is going to stick his head up in the window to sing. I might have John (the guy in bed) dreaming about a grey goose. I created this short animation nearly a year ago. It is definitely not perfect in any way. I’ve been playing around with flash more lately so I thought it would be fun to show my progress.